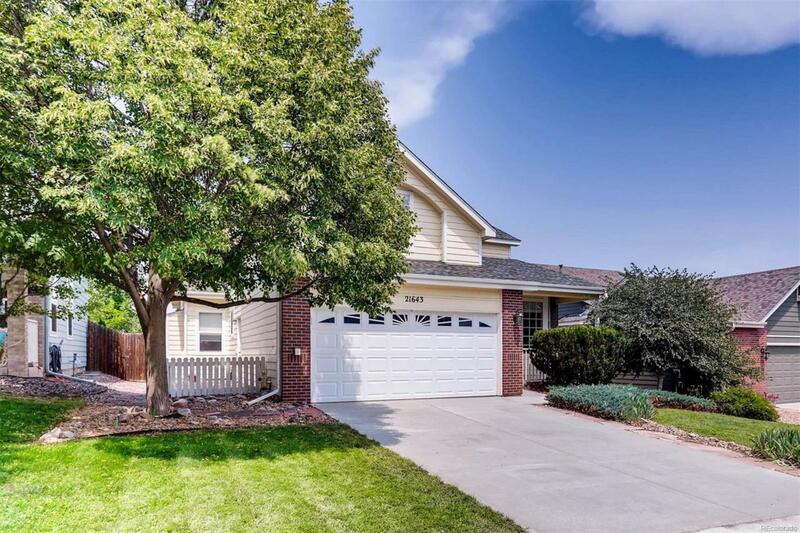 Sensational Home On Hard-To-Find Large & Private Lot In The Heart Of Parker.Sun Shines In This Bright & Airy Home All Year Long! Cathedral Ceilings, Grand Windows Including 3 Bay Style, Stunning Spiral Staircase, Stylish 'Black Pearl' Slab Granite, Gleaming White Cabinetry, Brand New Stainless Appliances & Brushed Nickel Lighting Fixtures Are Sure To Please. Resilient, Low-Maintenance Laminate On Most Of Main Floor. Master Suite Like A Tree House Looking Into Private Back Yard w/ Full Grown Trees. 5 Piece Bath Offers Slab Granite, Skylights, Jetted Soaking Tub & Walk-In Closet w/ Cedar Paneling & Even A Handy Laundry Chute! Unfinished Basement Offers Plenty Of Storage Or Room To Grow. Pergola Covered Deck & Brick Patio For Entertaining. Furry Friends Have a Dog Run. Newer Furnace, AC, Humidifier & Roof. Quick & Easy Access To Parks, Trails, Community Pool, Golf Club, PACE Center, New Library, Discovery Park, Ice Skating, Fountain And More! See Agent's Website For More Info.